These fruit gardening tips will be just the ticket if you are the kind of gardener who loves fresh fruit and the look of a landscape full of fruit trees! Not only do fruit trees add beauty to your property, but they can also add value and if you are eager enough, you can grow enough fruit to sell or share with friends and family. There are few things better than wandering out into your own garden and picking your own fruit off your very own fruit trees. Growing your own fruit can be very rewarding - and very healthy for the entire family! Here are some great fruit gardening tips to help you get started. Climate - Consider the climate and area you live in before you pick your fruit trees and don't forget about high-elevation areas. Apples and plum trees may grow well in high elevations whereas peaches and pears may need a lower elevation or more humidity. High elevations usually do not have as much humidity in the air so keep that in mind when picking your fruit trees. 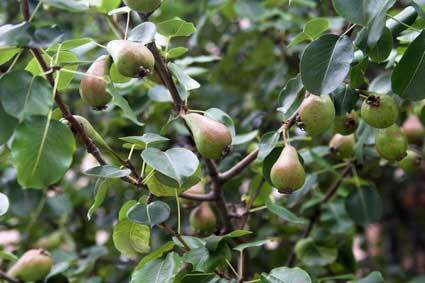 Types of Fruit - Choose more than one type of fruit tree to give your fruit garden a great look. An apple tree with blossoms in the summer is a great complement to a pear or peach, lemon or lime tree. Also, fruit trees require what is called cross-pollination to bear fruit so different kinds of fruit trees are essential in helping your fruit to thrive. Mulch - Fruit trees grow better when they have mulch around the tree base so weeds don't constantly pop through and damage the roots. You can make your own mulch or buy it at a gardening center and don't forget to fertilize your fruit trees. If you aren't sure what sort of fertilizers to use, ask the expert at your garden center. If weeds do appear, try and pull them from the roots so they don't re-invade the base of your fruit trees. Fruit Trees Take Time to Grow - When you start a fruit garden, especially if you are concentrating on fruit trees, they can often take a few years before the fruit appears. Just be patient and let nature take its course. Insecticides - Often fruit trees are a haven for beetles and other insects. To prevent bug infestation to your fruit trees, use insecticides that are not only safe for the environment, but safe for your fruit trees. Ask your garden center about safe organic insecticides as well as organic products to control fruit tree diseases. Pruning - Fruit trees, like other trees, need to be pruned. This should be done in dormant months when they are not producing fruit. To prune your fruit trees, get rid of all the bad branches and cut one branch from each fork in the tree. Try and keep horizontal branches five inches apart from one another. If you are unsure about pruning fruit trees, get an arborist to help you first and give you clear instructions so you can do this alone next time. It's worth asking and paying an expert as over pruning can kill a healthy fruit tree. 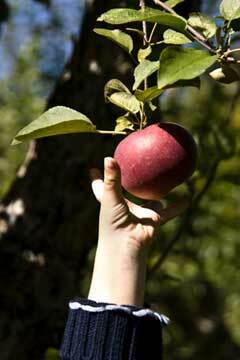 Think Seasonal - When picking your fruit trees, think about the harvest time of each type of fruit tree you are growing. A cherry tree will have its largest harvest in winter, peaches will most likely be in spring, and apples come out in the autumn. If you plan wisely, you can have fresh fruit all year long. Fruit Barrels - Fruits like blueberries, figs, and strawberries can be grown in barrel-type containers. These are very attractive to place in your fruit garden and require little pruning. Creating a wonderful fruit garden mixed with both fruit trees and smaller fruits grown in containers is a great way to always have fresh fruit while keeping the landscape of your property appealing. Fruit trees can produce fruit for over fifty years, depending on the kind, so do some planning, ask the experts, and start planting fruit trees with these helpful fruit gardening tips. Note: We'd love you to send us your favorite fruit gardening tips and pics to feature on our new pages!